Dear fellow Singaporeans, let me ask you some questions. What comes to your mind when we mention Singapopre’s manufacturing industry to you? What are the products that were once manufactured or are still manufactured in Singapore? Singapore’s economy today has changed a lot since her days of independence, while she is less of a manufacturing hub today, there is no doubt of the history, significance, importance, economic contribution, achievements and recognition of Singapore’s manufacturing industry and her contributions to the success and growth of Singapore from independence till today. Do you remember these names and their products? 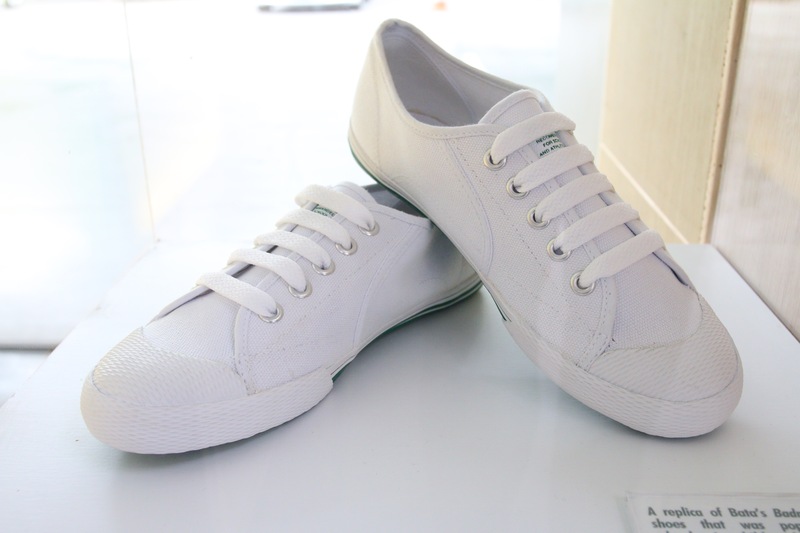 Bata shoes that you wore to primary school? Trek thumb drives? 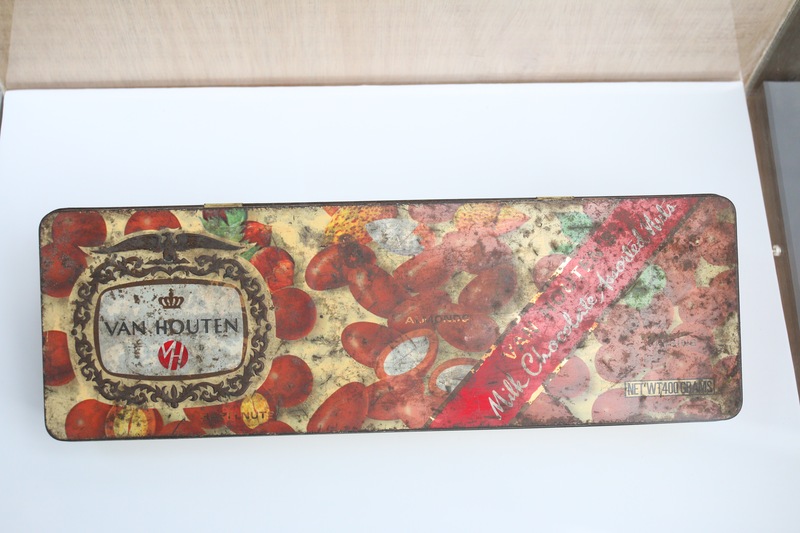 The delicious Khong Guan Biscuits in the old metal tin can? 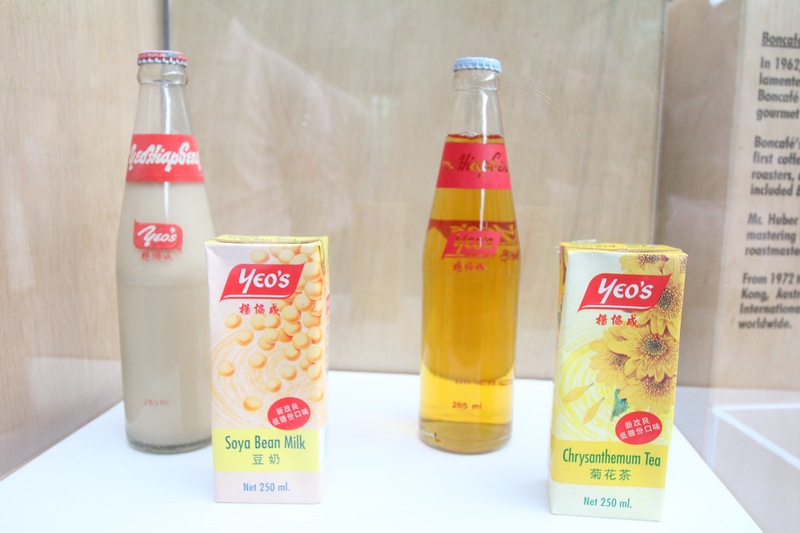 Yeo Hiap Seng Drinks, the soya bean drink in the glass bottle? Tiger Beer? Did your mum applied Axe Brand Medicated Oils when you were not feeling well? 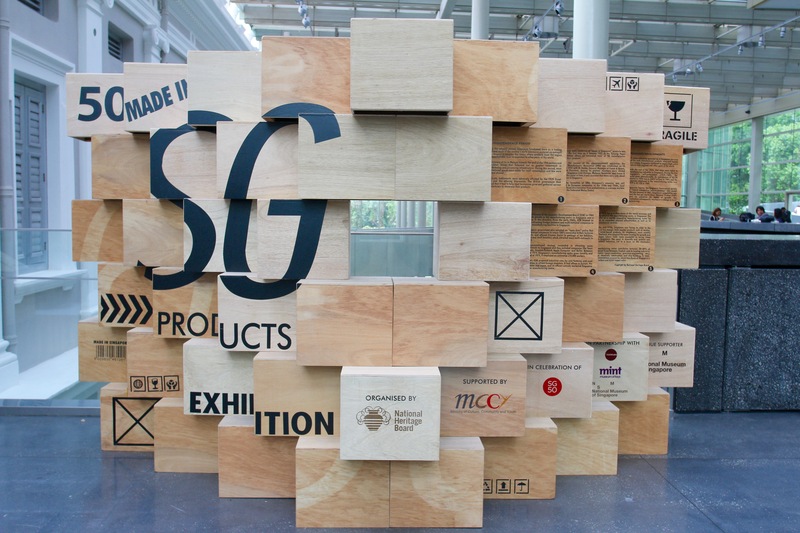 The above names and items are just part of the 50 Made-In-Singapore Products, that are currently on display at the National Museum of Singapore Glass Atrium from 15th July 2015 till 6th September 2015. This exhibition is a culmination of National Heritage Board (NHB) efforts since the year 2012, to research and document Singapore’s manufacturing industry. I attended a preview exhibition last year, it was an eye opener and I was looking forward to view the full exhibition! NHB collaborated with 36 partner companies that contributed their products to this exhibition. 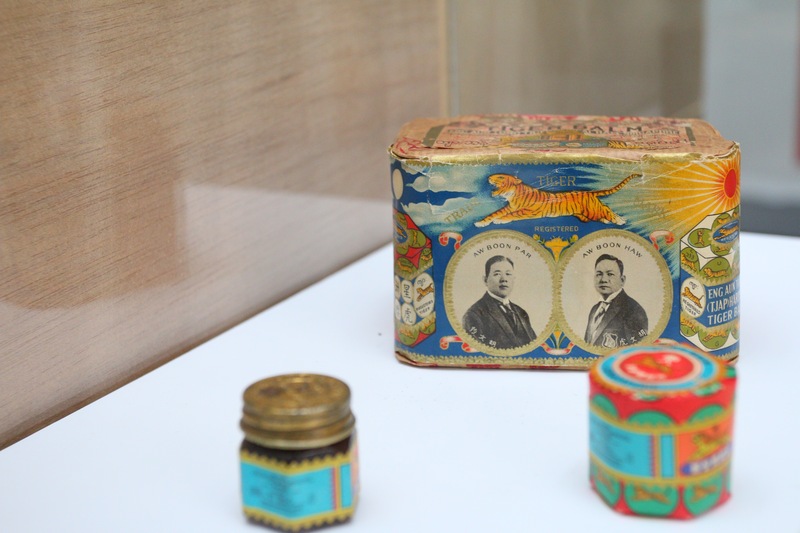 When I walked through the 50 Made-In-Singapore Products Exhibition at National Museum of Singapore, it was nostaglic, invoking childhood memories. The Bata shoes, the television in the wooden box, Yeo Hiap Seng soya bean drink in glass bottle, eating Khong Guan biscuits. I also spotted the good old pressure lamp, that I used when I was a Boy Scout with the Gan Eng Seng Dragon Scout Group during camps. The 50 Made-In-Singapore Products Exhibition is a great event, exhibition and showcase of Singapore’s Golden Jubilee, our SG50 Celebrations. We, Singaporeans can be proud of the household names and products that were manufactured in Singapore. Singapore is a small country, no doubt about that, showcasing 50 Made-In-Singapore Products is a testimonial of Singapore’s manufacturing contributions, achievements and history. 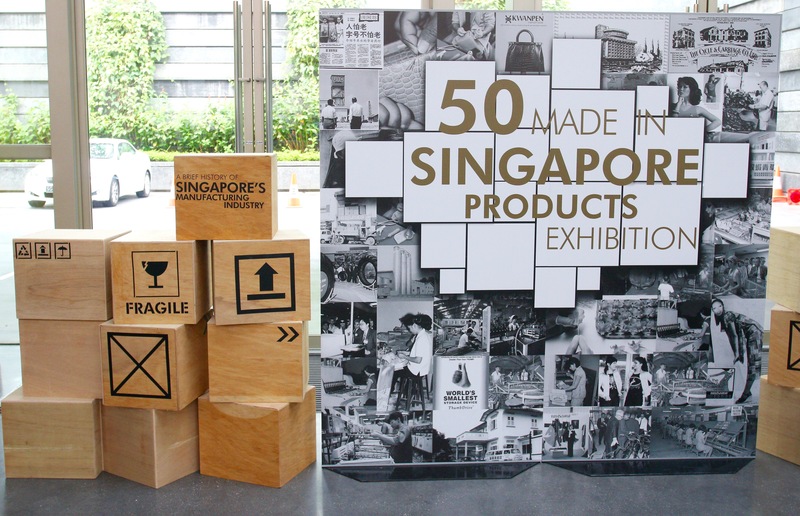 Dear fellow Singaporeans and friends from all over the world, visit 50 Made-In-Singapore Products Exhibition at the National Museum of Singapore Glass Atrium. Take a nostalgic and historical walk back in time to witness and enjoy the products Made-In-Singapore!